Famous instant messaging service Telegram has decided to change its plans for launching a public ICO to fund the development of its “third-generation blockchain”. The move comes after the company gained $1.7 billion, as the Wall Street Journal (WSJ) reported on May 2. 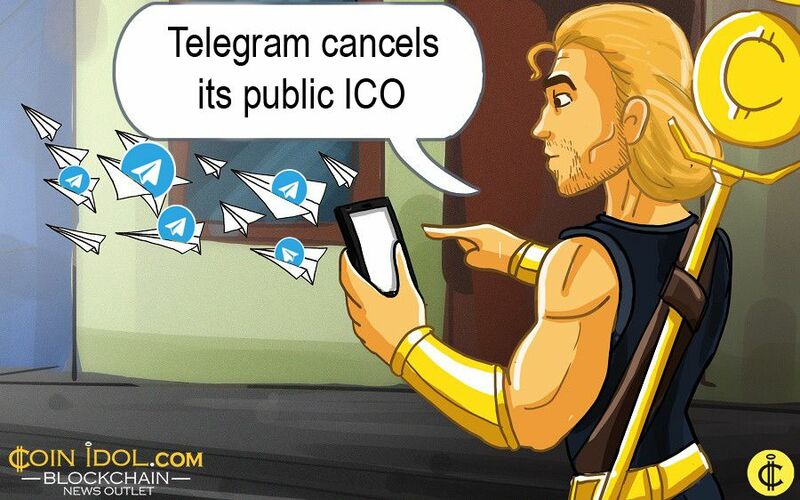 Anonymous messenger Telegram cancels the launch of a public ICO to attract funding for the creation of the Telegram Open Network (TON) powered by the blockchain technology behind cryptocurrencies such as bitcoin and litecoin. WSJ reports with a reference to its sources that Pavel Durov, the founder of Telegram, is satisfied with the $1.7 billion attracted for the TON project, preferring not to face operational and regulatory difficulties inherent in public fundraising.